When you are going to start your dream business or prepare planning for upcoming days, the most important fact you should consider is to know and understand the running business stats-trends. SME (Small-Medium Enterprise) industry has a lot of impact in today's overall business growth and also in employment. As an entrepreneur or startup business owner, you should be aware of running industry trends, challenges and what experts say. In this post, we have described some of the most significant SME statistics that would help you take preparation and design your entire sales game for 2019. Before jumping to the growing marketing trends and experts' predictions, let's check out some of the recent SME statistics to know what is going on around the small-medium business world and its outputs. Guidant financial and Lending Club jointly conducted a survey on more than 2700 SME companies and presented the report describing their happiness & confidence level, challenges, education, and age etc. This would help you both in understanding the recent market trends, growth and what would happen in 2019. Based on the 2018's outcomes, over 80% of the SME owners rated their happiness at an average of 8. 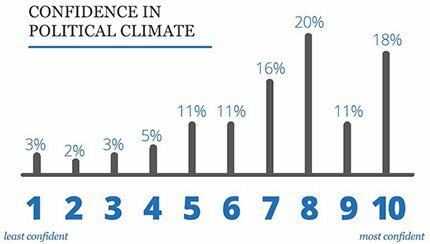 Since 78% of the business reports profits so it's easy to understand that they would be happy with their current situation. But the surprising fact is over 53% of the SME entrepreneurs rated 9 or above out of 10! The picture is so clear, 2018 was an excellent year of growth for their projects! 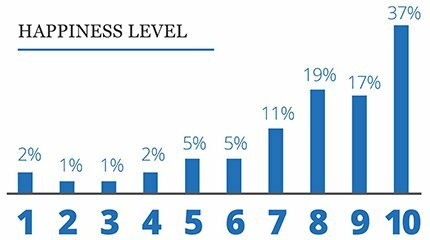 According to the survey, around 50% of the SME company owners rated their confidence level on an average of 8 and above. Politics play a major role in business these days. When around 70% of them say they are very confident with the running increasing growth, you should take it as a very positive signal. Although, the situation isn't the same across the countries, on average it's enough to go ahead and start the journey. What do you think! Education Isn't a Barrier to Meet Success! Even these days, some people think education is essential for starting a business and getting success. Data shows a different situation. 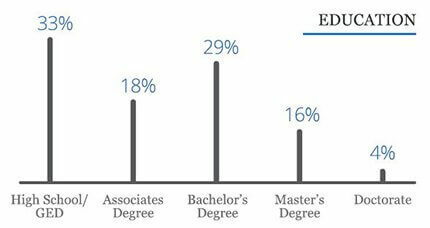 Around 50% entrepreneurs didn't even complete their graduation. And we know the game-changing business story like Microsoft, Facebook and so on. So, if you have a smart idea and you know how to take it to the next level, don't worry with your educational status! Just move on. When we talk or debate on SMEs, we see only young or teen-aged entrepreneurs around us. They get the entire focus. It's not a bad practice but the data shows a different picture! 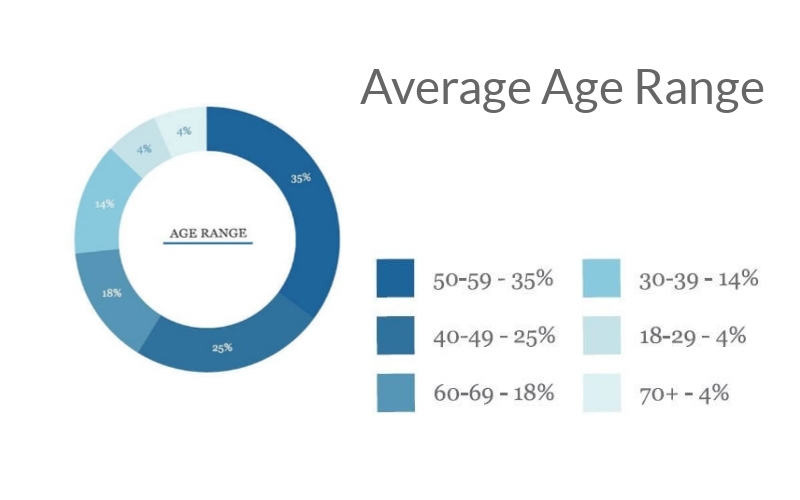 Today, over 50% of SME entrepreneurs are middle-aged and they are leading the overall industry. Check out the below image. So, whatever your age- just ignore and go ahead. Solve a problem or offer something that people need. Who knows what is waiting for you. It's a Canadian Survey report. As you can see, around 90% of our employment is offered and controlled by the SME industry. This means a lot! Our lives depend on the SMEs. 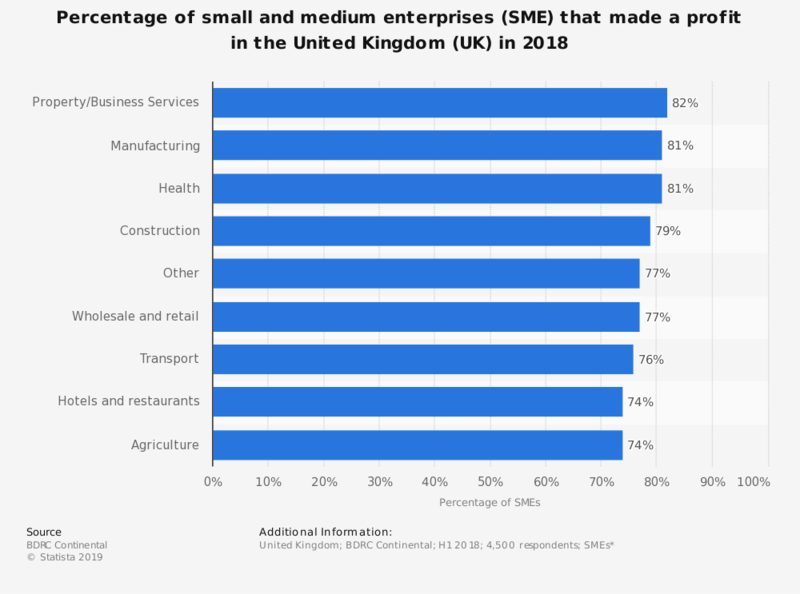 Last year, around 80% of the SME companies made a profit in the United Kingdom. The situation is the same both in USA and Canada. While SMEs are leading the overall business world, its a good sign for business owners and also employees that the market is growing and providing good return. With running growth and profit percentage, it's also important to know the survival rate of SMEs. Yes, it's true that many of the SME's can't survive for the long run. 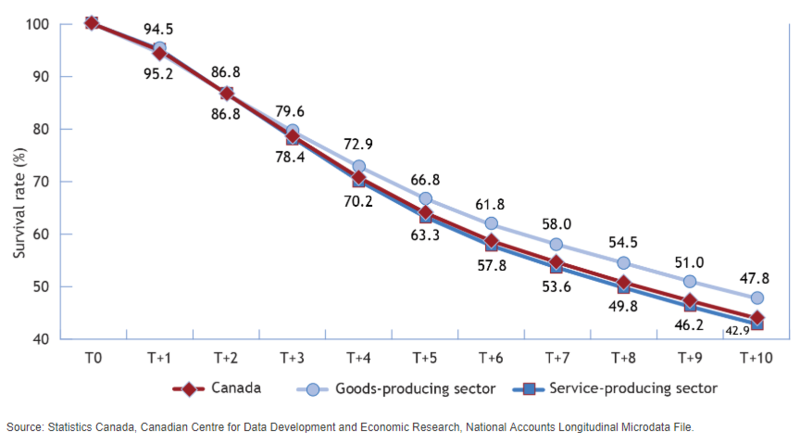 As you can see in this Canadian survey report, the number of SMEs become half within only ten years. The business survival rate for the goods-producing sector was 47.8 percent in 2018, compared with 42.9 percent for the service-producing sector. That means over 50% of the small-medium companies die before a period of 10 years. The question is- why? That's the concern. In the last part of this post, we have described some significant reasons and common mistakes made by the SMEs that will help you save your business and get a go. We have presented some good news and described some positive information from last year. Now is the time to show you some stats that would help you take preparation for 2019. Let's have a look at what challenges are waiting for you in the upcoming days. You will also be able to know the top marketing channels and tools that are considered to be used mostly by SME entrepreneurs. Before that, check out what industries are leading the entire SME sector. Guidant Financial found service, food, health-beauty, retail, and home service industry as the top 5 SME businesses in 2018. It's sure that the Service and software industry are going to lead the future business world. 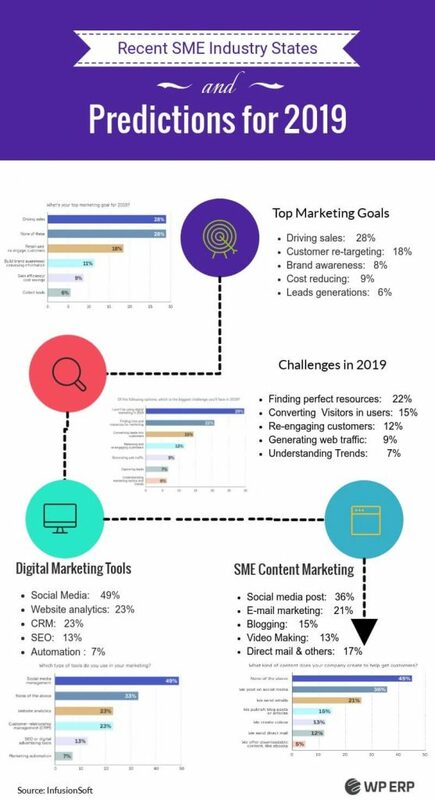 Now, have a look at below infographic which is showing the top marketing goals and challenges including the useful marketing tools-channels and content marketing choices. It's prepared based on the opinions of successful SME entrepreneurs of 2018 by Infusion Soft. What Experts Say about SMEs? You should listen to the experts who are leading the market for years. Business News Daily collected some experts' talks and their prediction to help you out. We are presenting the top 5 SME predictions for 2019. As we mentioned earlier that around half of the businesses fail to survive in the long run. So that the question is what's the reason behind their failure? Take a look at below reasons/mistakes that are common in the SME industry. And SMEs fail today or tomorrow for ignoring them. A common approach in the startup entrepreneurs is being emotional with their ideas and overconfident about their success. Most of the times they just deny reality. One of the main points is to start the journey without enough capital. At the middle of the way, when they can't manage the required capital; the project just falls down. Another big mistake is avoiding or ignoring the reinvestment. First time when they make profits, started to buy new cars, house, luxury things and forget about reinvestment. At a point when they need more money for their project they discover empty accounts and experience the failure. Like any other fields, you need a mentor from whom you can get timely advice and proper guidance. Many of the SMEs die for lack of timely guidance and structuring. Business isn't a childhood game, especially in this heavy competitive age. They fail who don't care it. You have perfect products/services, a well-designed plan, and structure but the problem is you don't know how to smartly deal with people. There are high chances of failure in your business. Dealing with your employees, business partners and also customers is same important from the very beginning of your journey. Startup projects require much more time and patience than established businesses. But many entrepreneurs started taking too many works and responsibilities at ones. And the problem is they can't manage the situation, they offer too little in return of so many expectations. Another fact is sometimes managers or employees started to take extra facilities and unethical advantages. This approach harms businesses in many ways. And as a result, businesses experience inevidable failure. This is one of the most significant facts you should be aware of. According to different surveys, customers will demand more control over their information in the upcoming days. Banks will refuse to fund for SMEs, so that alternative lending like venture capital or angel investing will continue to grow. Subscription package (weekly-monthly buying) will get more and more popularity over times. And everything could be personalized will be personalized- better user experience, personalized package etc. and more. Because customers these days are more likely to buy from the brands who offer a personalized experience. Companies will start providing and showing more social responsibility. Facebook already declared that they will change their algorithm to favor content from friends and families. And solutions like AI chatbots will lead the future of digital marketing. 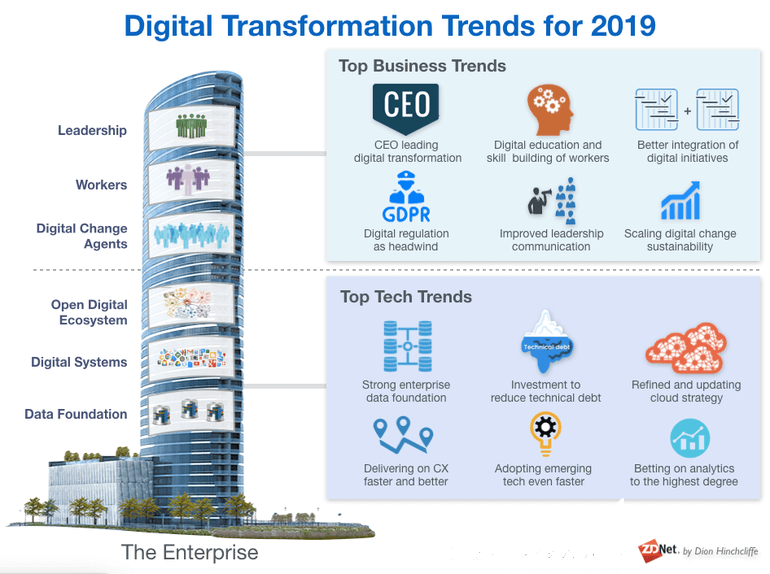 Now, have a look at below infographic and discover the whole picture of digital transformation trends for 2019. Proper industry knowledge and understanding the running trends is always important for business of any sector. For SMEs, it's a must. In this post, we have covered essential SME statistics that would help you see the whole picture with ease. Now, it's your turn to prepare or reconsider your plan to start and continue growing in 2019.